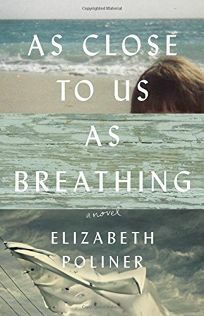 Elizabeth Poliner’s new novel, As Close to Us as Breathing, has been hailed by The New York Times as “a big-hearted roundelay of a novel [that] performs the invaluable service of recovering a lost world;” by NPR as “beautiful . . . the kind of novel you sink into blissfully;” by Publishers Weekly as “an exquisitely written investigation of grief and atonement,” and by the Jewish Book Council as “an instant classic.” Amazon selected it as its March Spotlight Pick in Fiction. She is also the author of Mutual Life & Casualty, a novel in stories, and What You Know in Your Hands, a poetry collection. Her stories and poems have been published in literary journals nationwide, and her awards include numerous individual artist grants from the D.C. Commission on the Arts and Humanities, and residencies at the MacDowell Colony, Yaddo, and the Wurlitzer Foundation. She is an associate professor, teaching creative writing, at Hollins University.